Mrs. Nerd subscribed me to Nerd Block a couple months ago and the second one struck all the right notes with me. The first thing was a really cool Darth Vader t-shirt. 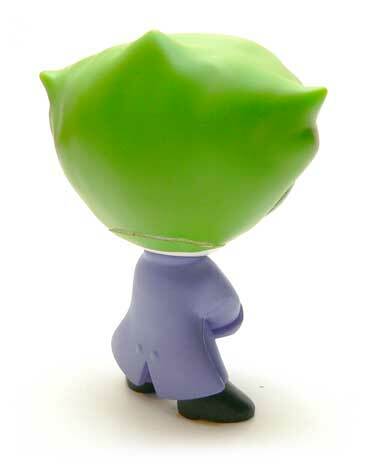 The second was a DC Mystery Mini blind box. While it would have been nice to get a Batman, this Joker wasn’t a bad get. On the box, he’s a 1/24 pack ratio which isn’t super rare, but not the most common either. This figure is much more like the a standard Pop! Vinyl with a big head and small body as opposed to the Walking Dead series. The one thing they share is that the the details on the face are entirely painted on. With the stark white face, the details really pop. The face is somewhere between the comic book and animated styles. The head is shaped like a triangle with the tip pointing down. 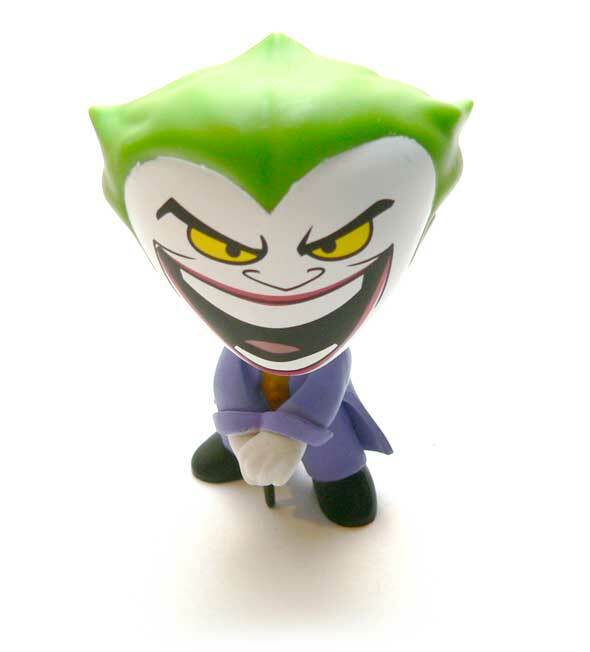 While this make the head look large, it also thins the face out which really works well with the Joker. There is some very smooth sculpted detail to the green hair, but that is about it. My only real complaint on the figure is on the head. It’s made in two pieces and the line along the bottom of the chin is really obvious. Where the face is white, the line is showing green. Where the hair is green, the line is white. 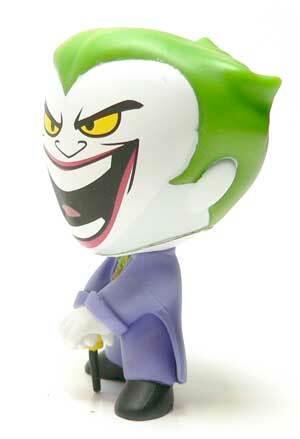 The tiny body is classic comic book Joker. It’ most assuredly based on the Carmine Infantino piece that was used for merchandising in the 70’s. One of it’s more notable uses was on the Mego packaging for the Clown Prince. For the size and style, the body is really well done. It’s got the overcoat perfect and the orange vest is visible. If you look close there’s even a a little green string tie. I think I like the painted face here more than I did on Merle Dixon. It just works a bit better with a comic character. 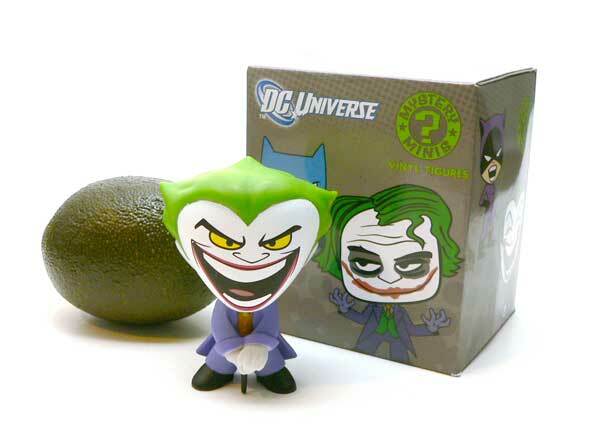 Honestly, I’m glad I got on the comic Joker versus the Dark Knight one. He’s more reminiscent of the Joker that’s I grew up with and bit more iconic to me. 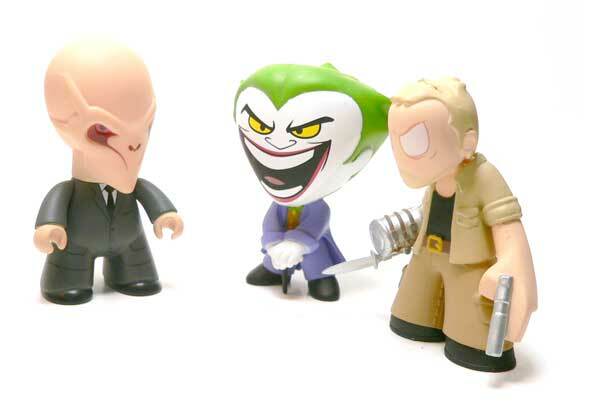 I have to say if I saw some more of these blind boxes, I’d pick one or two up if the price was right. I wouldn’t pay the $10 I would for a Doctor Who Titan, but somewhere in the $5-6 range would probably work.